For any observant Jew who is at work during the holiday of Sukkot, they know all too well how hard it is to manage eating while at work. Either it is hard to find a Sukkah in the area or you don't have time to find out or there simply isn't one available. So either you don't eat or eat junk that isn't a formal meal. This year, for the first time, we built a Sukkah outside of our office to make eating a bit easier for observant Jews. Here is a picture of the small four-person Sukkah outside of our office building. 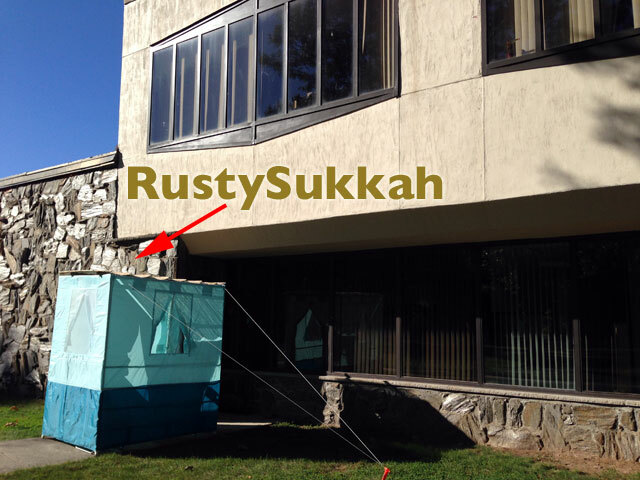 We call it the RustySukkah and you are welcome to stop by and use it, if you are in the area.